Greenville—Grady Hicks Blaylock, age 77, of Greenville, MS, passed away on Thursday, January 24th at the Delta Regional Medical Center. Visitation will he held Tuesday, January 29th from 5:00-7:00 PM at Cleveland Funeral Home in Cleveland. A Celebration of Life service will be held at 2:00 PM Wednesday, January 30th in the Cleveland Funeral Home Chapel. Sister Gale Walt will officiate the service. Grady was born on February 28, 1941 in Georgia to Lester Eugene and Onela Pearl Roberts Blaylock. He moved to Mississippi at a young age. Grady went into the Army Guard for a number of years and then moved back to Mississippi. He retired from Color Tile, Inc. 30 years ago where he worked as a Hyster driver. Grady loved to listen to Elvis, Johnny Cash and loved country music. He loved to watch and go to wrestling matches and football games. He loved spending time with his daughter. 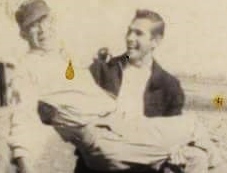 Grady was preceded in death by his parents, Lester Eugene and Onela Pearl Blaylock; brothers, Lawrence Blaylock and Johnny Blaylock; sister, Maudie Louise Blaylock Nelms. Grady is survived by Daughter, Shannon Rupley of Cleveland; Grand daughters, Alexis Darby and Adrianna Leopard; Niece, Elizabeth Blaylock.